File photo of Keith Schembri walking out of court. An appeal has been filed against a court decision to investigate whether Konrad Mizzi, and Keith Schembri breached money laundering laws when opening secret Panama companies. The request, following a request made by the Opposition leader, also included an investigation on Prime Minister Joseph Muscat. It has now transpired that yesterday's decree given by Magistrate Ian Farrugia, who ruled that the pre-requisites for an inquiry had been satisfied, is being challenged by the seven persons against whom the application had been filed by Simon Busuttil. Apart from Dr Mizzi, Mr Schembri and the Prime Minister, the court's decision is also being challenged by auditors Brian Tonna and Karl Cini, Kasco Limited employee Malcolm Scerri and former Allied Newspapers Limited former managing director Adrian Hillman. The appeal will be heard before Judge Antonio Mizzi who was on duty today, when the appeal was filed. Nevertheless, eyebrows were raised since he happens to be the husband of Labour MEP Marlene Mizzi. In his first reaction, Opposition MP Jason Azzopardi who signed the application on behalf of Dr Busuttil, said the decision to file an appeal was quite ironic. 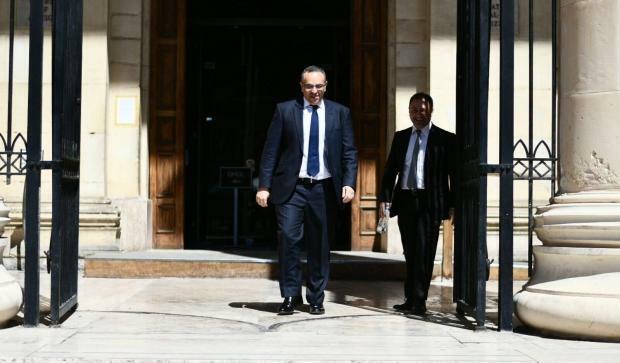 “A day after accusing the Opposition of misinterpreting the decree, they decided to file an appeal,” he told Times of Malta.